Your eyes are not deceiving you - I've actually made the "quilt sandwich" for Logan's quilt. Now I'm going to try my hand at quilting (straight line on this one). 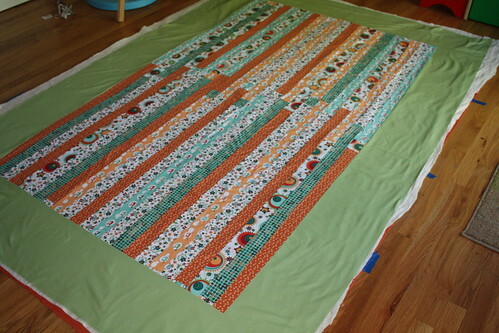 I've also got my quilt back from the long arm quilter and have it trimmed and squared. I've got the binding strips sewn together and ironed and ready to go on.